Exhausted baby fell asleep while playing on his mat. My poor baby boy is miserable. He has been crying for the better part of 36 hours. It breaks my heart to see him this way and to feel so helpless to make it better. But before I let heartache creep in, I remind myself that this will soon be over. My baby will likely be back to his sweet, smiling self tomorrow. Unsuspecting, Samuel before his shots. 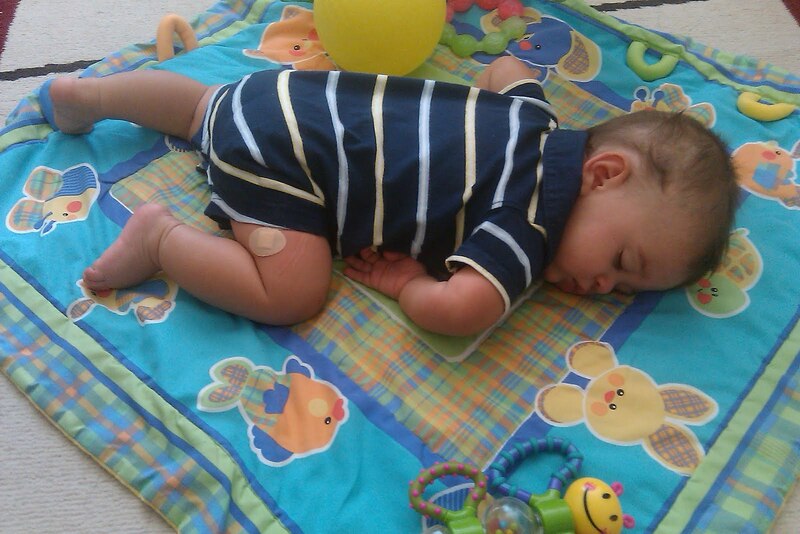 His agony is just a reaction to the 6-month vaccinations he received yesterday. Baby Samuel's immune system is fighting like crazy right now and, despite the torture it puts us both through, that is as it should be. Cranky, post-shots baby won't let me put him down. 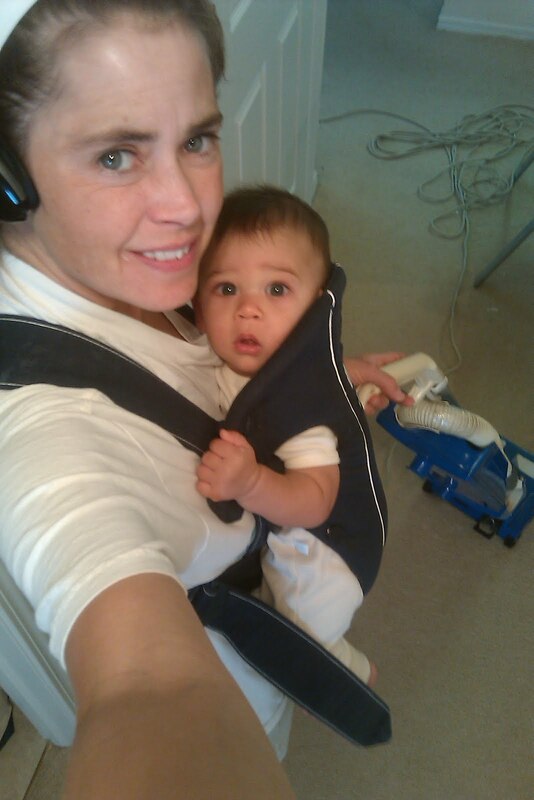 So I'm vacuuming with him in the Baby Bjorn. But as the hours pass and I hold him close, trying to ease his suffering, I can't help but think of all the children out there who don't heal overnight. I think of all the mothers whose only wish is to see their baby stop suffering; to see their baby healthy. There can be no greater pain than to see your child suffer without hope of recovery. It is not just my baby's cries that have me in such a somber mood. Recently a friend's teenage son tried to kill himself. Another friend's teenage daughter cuts herself. And a loved one has watched her daughter's mental illness take her to the depths of her own personal hell more times than she can count. I cannot pretend to understand what these mothers are going through. But hearing this little baby's cries makes me think of them. I am humbled to think of the love they continue to offer to their children during the most difficult times. Sometimes, when one of my daughters skins her knee or pinches her finger, she comes running up to me for comfort. Generally, a hug for the kid and a kiss for the boo-boo is all it takes to make them as good as new. If only time really could heal all wounds. If only the power of a mother's love could fix it all. If only. That is so true, we need to keep our perspective. Powerful, Rosa Linda. All too close to home, in a way, with Kaeden's recent illness. My thoughts are with those close to you dealing with so much!